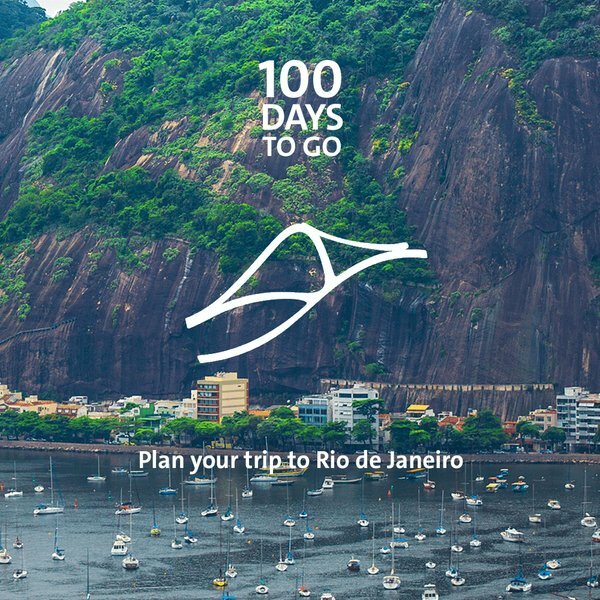 BidWeek, Reporting from Toronto, Canada – Rio is set to host the Olympic Games in August – or more accurately, the Brazilian city is scheduled to stage the Games for the first time in South America starting August 5. Amid political strife, security threats, health warnings, pollution and economic chaos – many have been calling for the delay or cancellation of the Games. Others are questioning why Rio was even chosen to host the marquee sport event to begin with, considering the current conditions in Brazil. We’ve heard this all before – with Sochi, with Beijing, with Athens – anytime there are political, economic or other issues that are seen as conflicting with Games preparations, there are inevitable calls for the Games to be moved. These calls are often amplified during the final weeks of the run-up when mainstream journalists decide it’s ready for public consumption. But in all cases since World War II caused the cancellation of the London 1944 Olympics, the Games followed as planned without any predicted disastrous result. I’ll start by mentioning that the process to select the 2016 host city started almost nine years ago – September 13, 2007 – when the International Olympic Committee (IOC) accepted applications from seven cities including finalists Chicago, Madrid and Tokyo along with Rio. In 2007, things were better in Brazil. The country had been chosen to host the 2014 World Cup – FIFA had already designated South America the host continent based on a rotating schedule and Brazil became the host nation after all other bids dropped out of the running. Rio had just successfully hosted the 2007 Pan American Games, the third largest international multi-sport event after the Olympics and Asian Games. Brazil was enjoying strong economic growth, enough to be considered a major player on the global stage. 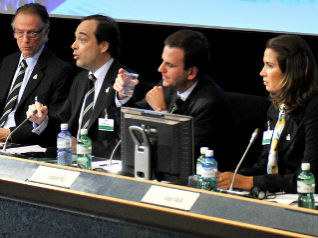 At the bid’s final presentation at the IOC’s all-members Session in Copenhagen in 2009, the strength of Rio’s ability to deliver was a focal point. President of the Brazilian Olympic Committee Carlos Nuzman – now Chief of Rio 2016 – extolled Rio’s offering. At the same presentation Henrique Meirelles, President of the Central Bank of Brazil walked members through Brazil’s glowing finances – and provided optimistic projections. He revealed that Brazil’s GDP was 10th globally in 2009 and was expected to be 5th by 2016. That was a very big deal at a time when much of the world, especially Europe, was on the brink of a debilitating recession. Bid officials hammered home their point that Rio’s Games would be virtually risk-free and since no Olympics had ever been hosted in South America, now was the time for the first on their continent. 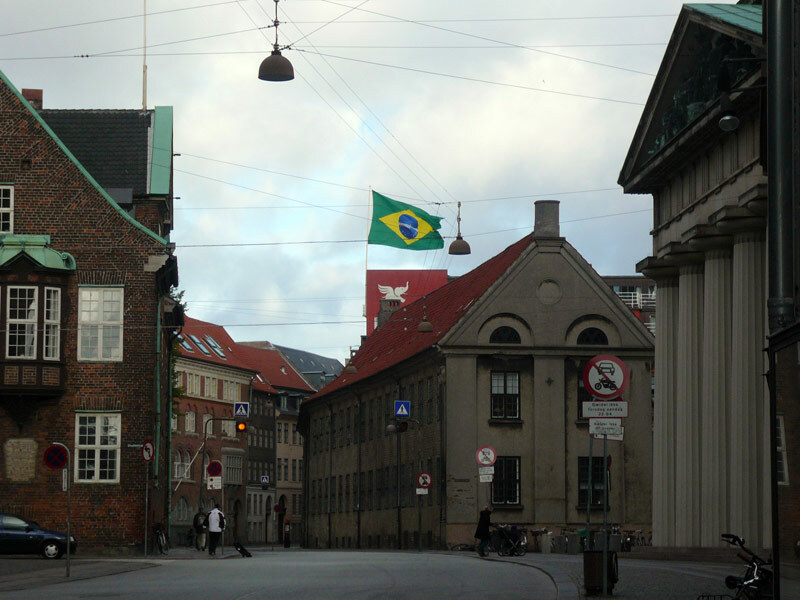 It was a compelling argument – enough to give the bid a decisive 66 to 32 win over Madrid on the third ballot in Copenhagen. And it was a big win. U.S. President Barack Obama with the First Lady, and the King of Spain were among the high profile delegates supporting Rio’s rivals yet the city that ranked only fifth in an early evaluation of seven applicants stole the historical victory. The Zika virus is in the headlines, lack of funds is causing labour disruptions and delays of key infrastructure and venues, and crime is a rising issue. Is there buyer’s remorse by the IOC? Probably. Was it avoidable? Probably not. Rio: a jewel to the IOC in 2009, a thorn in 2016. The IOC is right to select a host city at least seven years prior to the event – it really does take that much time to organize the modern Olympic Games. Developing venues, infrastructure, project plans, a workforce, marketing plan and so many other critical components that go into a successful Games take time to ramp-up and deliver. But during that long time span, the world can, and usually does change – and with it so does the predicted context and viability of the Olympic project. How do you allow a city enough time to prepare for the Games without increasing the risk with added time? The IOC moved closer to answering that question two years ago after President Thomas Bach ushered in Agenda 2020 that included bid reforms to encourage bids to propose the use of existing facilities at the expense of a compact footprint, if necessary. If most, or all of the venues are already existing once a bid is elected – the preparation time drops and so does the risk. Indeed, if efforts could be focused more on organizing the Games and less than on constructing venues – the Games would be better. But could the time span between the election and the Games be reduced in order to lessen that risk? For that to happen, and for the lead time be reduced to, say, four years – the IOC would have to limit itself to accepting applications only from those cities that are infrastructurally prepared and could be ready in the short time-frame. That would be a very short list, and if no qualified cities came forward – the IOC would be in quite a bind. That’s likely a more risky scenario than just waiting the seven years. And say, for instance, Los Angeles – with all venues ready-to-go – is elected to host in 2024. Six-years down the road it too could be impacted by recession, a health issue, or worse – a natural disaster such as an earthquake. Nobody knows all of the challenges that could lie ahead for the 2024 Olympic bid hopefuls – but we do know that the Games will be held eight years hence. Plans need to be made and the work must move forward without the second-guessing. Despite the calls to change plans for the 2016 Olympic Games – Rio will happen. Obstacles will inspire perseverance and problems will be handled with solutions. After all, the Olympic spirit makes us rise to the challenge – not run from it. That’s why I’ll be packing my mosquito repellent, a wallet of Brazilian reals and a bucket of patience and heading to Rio to see what they’ve prepared for the world. I doubt I’ll be disappointed.